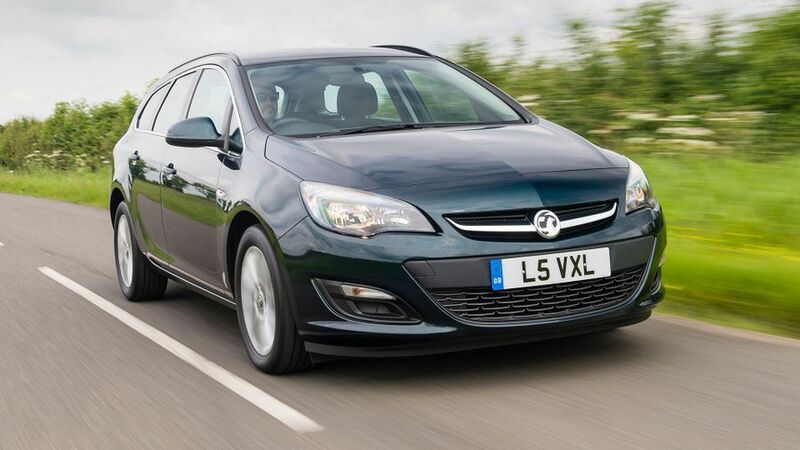 Read the Vauxhall Astra Sports Tourer estate (2012 - ) car review by Auto Trader's motoring experts, covering price, specification, running costs, practicality, safety and how it drives. The Vauxhall Astra Sports Tourer is UK-built and designed, and is a fine addition to the new Astra range. It not only looks good, but has more space than ever before. Interested in buying a Vauxhall Astra? 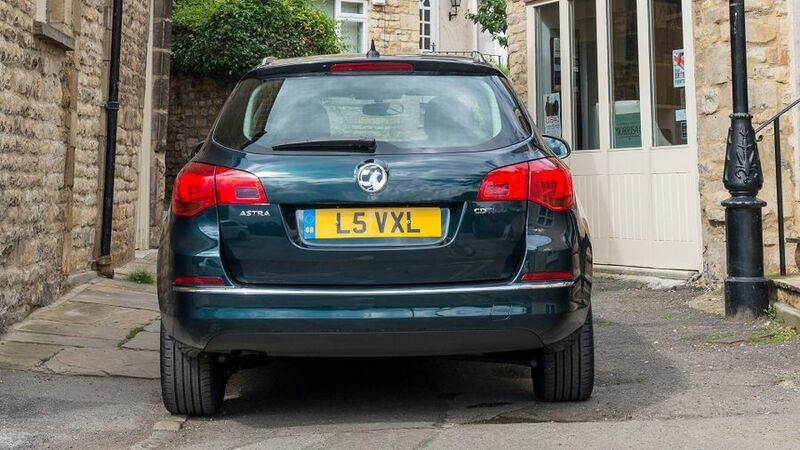 Unlike many estate cars, the Astra Sports Tourer is much more than a hatchback with an extended load bay tacked on behind. It looks stylish, well-integrated and was designed and engineered here in the UK. The neatly flowing rear is as practical as it is good looking. The Astra adopts many of the styling cues of its big brother, the Insignia, including what Vauxhall calls its blade design, which consists of a feature line that kicks up onto the rear doors. It adds a dash of style to what could be a bland, slab-sided design. The neat wrap-around cabin theme started in the Astra’s big brother, the Insignia, gives the Astra a cosy and homely feel. 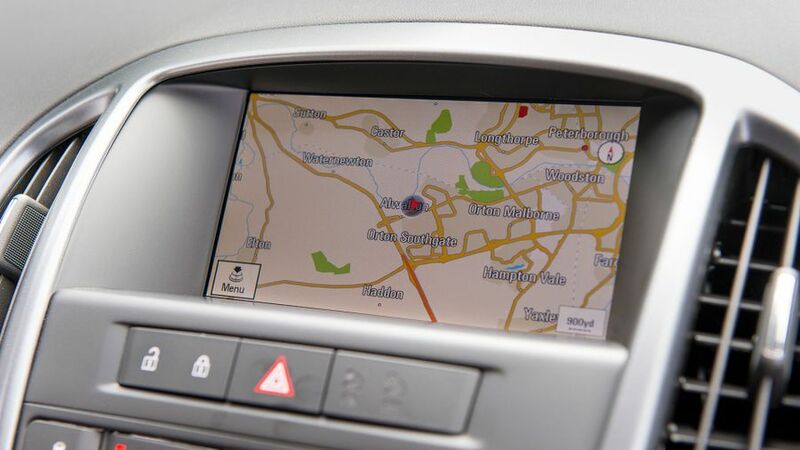 The centre console is smart and stylish, housing all of the major controls, and is dominated by a large screen at the top that features the audio display. The liberal use of soft-touch plastics gives a premium feel, while all of the buttons and controls have a well-weighted and solid feel. The chunky steering wheel is nice to hold and the instrument cluster features clear and easy-to-read dials. 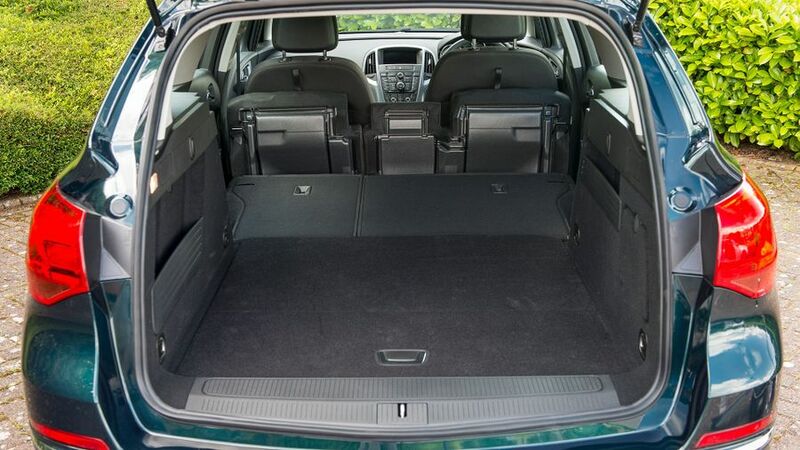 Boot space comes in at 500 litres with the seats in place, but it still falls short of major rivals like the Peugeot 308 SW and Kia cee’d SW. With the seats folded, there’s 1,550 litres of luggage room, less than most rivals. 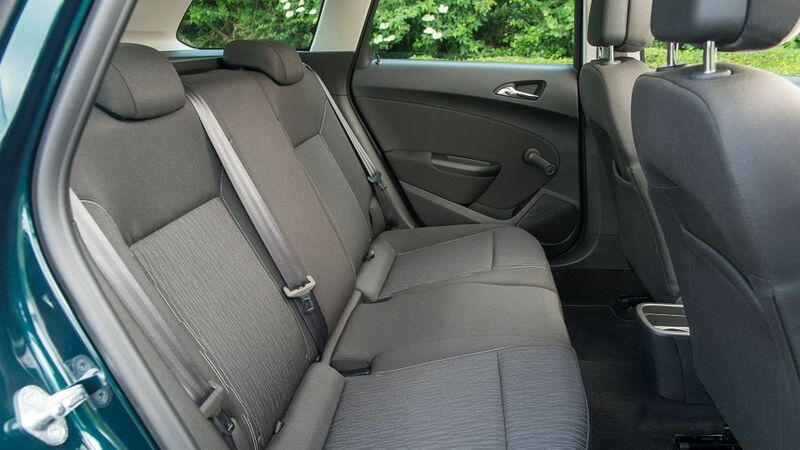 Top models feature what Vauxhall calls FlexFold, which is a fancy name for its electrically folding rear seats. The controls are located in the sidewall of the load bay, making it easy to operate. In lesser models, you must fold the seats in the old fashioned way by using a lever in the backrest. Either way, the load bay is well-shaped and provides a flat surface. Ride comfort is one of the Astra’s biggest assets and that is unchanged in the load-lugging version. Larger wheels affect it, so it’s best to stick to models with 16-inch wheels if you like a smooth ride. Steering responses are sharp, giving good levels of feedback as to what the front wheels are doing, while handling is safe and predictable with plenty of grip, and road and wind noise is well suppressed. The brakes are good too. The Astra Sports Tourer comes with a wide array of engine choices, with four petrol engines and four diesel units. The 1.7-litre diesel powerplants are quite noisy and at low speeds leave you in no doubt as to which engine you’ve chosen. When warmed up, and at speed, the noise thankfully settles down to a low roar. Petrol power kicks off with a 1.4-litre 99bhp engine, through to a 138bhp 1.4-litre turbocharged unit, while in the diesel range, a 1.3-litre CDTi engine with stop and start produces 94bhp, with a 2.0-litre CDTi flagship unit developing a meaty 158bhp. All of the engines perform solidly, with decent levels of pace. The Astra offers a wide range of small-capacity petrol engines and competitive diesel units that compare well with the opposition. All of the diesel engines, except the 2.0-litre CDTi unit qualify for zero-rate car tax in the first year. The main fly in the ointment is the high list price, although this is normally offset by generous discounts at Vauxhall dealers. Insurance groups are low compared to its rivals, though used values aren’t a strong point. 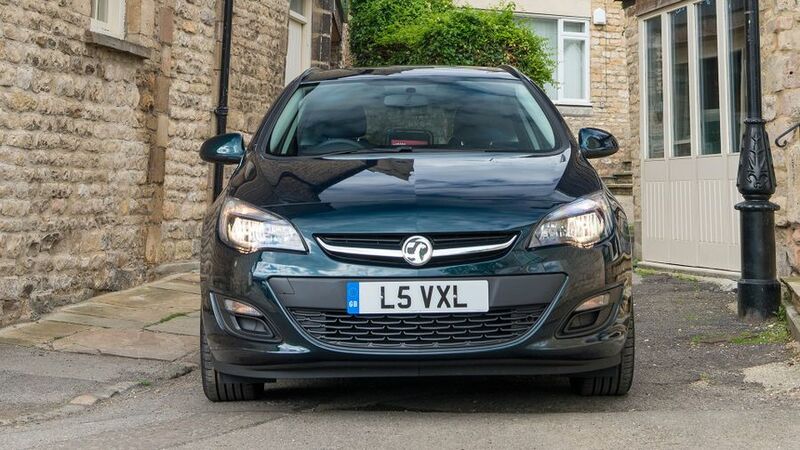 Almost all the Astra’s rivals offer better retained value after three years/36,000 miles. In reliability surveys, Vauxhall has never performed fantastically, usually ending up in the middle ground. It also only gets an industry-average three-year/60,000 mile warranty, a long way off rivals like Hyundai's five-year/unlimited mileage, and Kia's seven year/100,000 mile offerings. 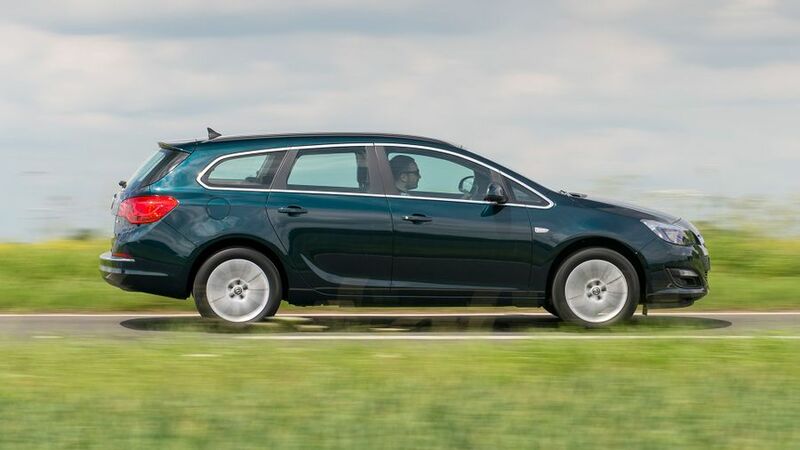 Although the Sports Tourer version of the Astra hasn’t been tested by safety watchdog Euro NCAP, the hatchback versions gained a five-star safety rating, so it is expected that the load-lugging version would achieve a similar score. All models feature six airbags, electronic stability programme, traction control and plenty of other safety orientated kit. Unfortunately, neither rear side airbags or kneebags are available even as an optional extra. Compared to its main rivals, every Astra Sports Tourer, including the entry-level ES model, comes decently equipped with remote central locking, air-con, an electric park brake, hill start assist, roof rails, electric front windows and a CD player that is MP3 compatible. Exclusiv trim adds cruise control and steering wheel audio controls, while SRi models come equipped with an alarm system, leather steering wheel and gear knob, trip computer, sports seats, FlexFold rear seats, sports suspension, front fog lights, privacy glass and 17-inch alloy wheels. Top-spec SE trim adds an auto-dimming rear view mirror, rain sensor, electric rear windows and does without the sports seats and suspension. If style is important to you, yet you need the convenience of a little extra space compared to a hatchback, then you could do worse than the Astra Sports Tourer. It looks good, has a quality feel to the interior and drives well.